Condos designed for luxurious living. Located in the heart of the East Valley, Coyote Landing is home to an exclusive community of newly built luxury condos. Coyote Landing offers residents executive-style luxury homes matched with unsurpassed community living. From top-of-the-line custom features to luxurious community amenities, the property offers indulgence at every turn. Whether you are looking for your new permanent residence, a warm vacation rental, or a second home for the winter season, Coyote Landing welcomes you to your new home. Scroll through to view our various luxury interior upgrades! Comfort and relaxation in every detail. Coyote Landing Condominiums were designed with luxury in mind. We have created a community that will make you feel comfortable, cozy, and at home as soon as you enter the private gated property. Coyote Landing boasts low HOA dues, low taxes, and low maintenance so that together make your home easy and able to lock & leave. We live among amazing residents and are proud to have an engaging and helpful on site staff. The clubhouse is home to all community events at Coyote Landing. From holiday parties to cocktail hours, the clubhouse has hosted residents for mingling, networking, and fun! The clubhouse is also home to our fitness center, a library, local information, and our onsite sales team from Inteam Realty. The property is professionally managed and the sales team is on site to assist residents with daily activities and information. basketball, bbq's, and bliss, oh my! Come play outside with friends, guests, neighbors and family! Our community offers outdoor basketball courts, barbeque space and shaded sitting areas for eating and entertaining! 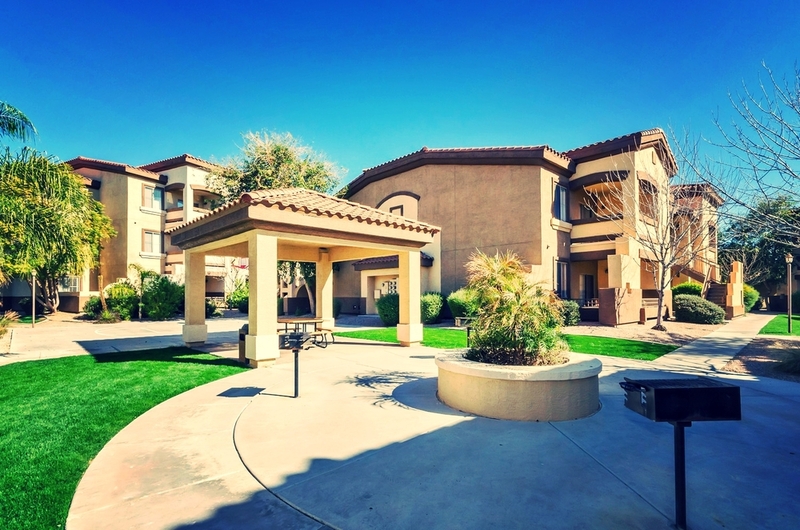 The community space is maintained and included in HOA dues and is a fun addition to the year round fun here at Coyote. Our heated pools and jacuzzi serve as a social hub during the warm Arizona days, where owners come to cool off and have some fun! Residents can BBQ with friends or relax and sunbathe with a great book. If you prefer, come down and enjoy a relaxing evening in the jacuzzi with your sweetie. Our residents love to socialize and spend their days in the sun! Coyote Landing Park provides a cool, green resting spot perfect for pets to roam or children to play. Come set up a frisbee game with your neighbors or let your kids enjoy a nice walk in the park. Your perfect getaway from the Arizona desert. We also provide a modern playground for young ones to let out their energy. 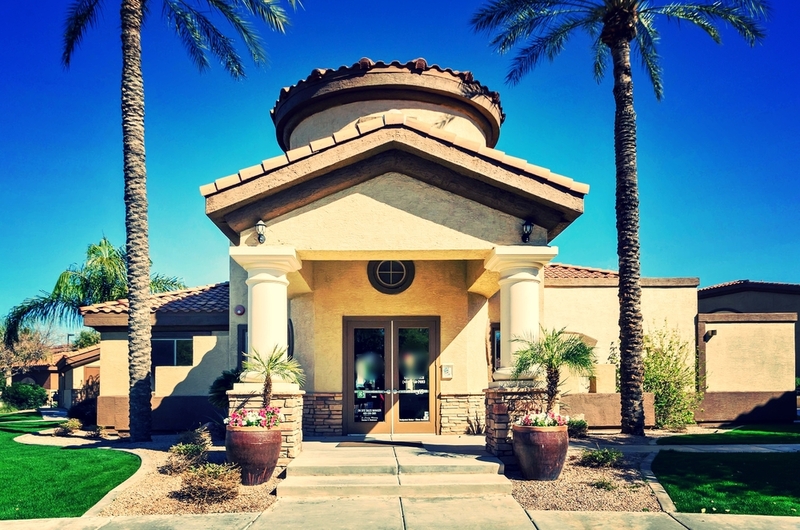 Our home is situated in the heart of the East Valley in Arizona, where warm weather welcomes residents, visitors, and snowbirds year round. We live just minutes from amazing shopping, beautiful golfing, and incredible mountain hiking in the Superstition Mountains! Downtown Mesa offers fine dining, unique shops and entertainment for the entire family. Click the link below to access the city website and see all that we have to offer! Click the button above for a comprehensive guide to our city from Visit Mesa! Click above to watch a video exploration of Coyote Landing from a bird's eye view! This drone video will help you get a feel for our community layout and the neighborhood beyond! Your Coyote condo is ready.